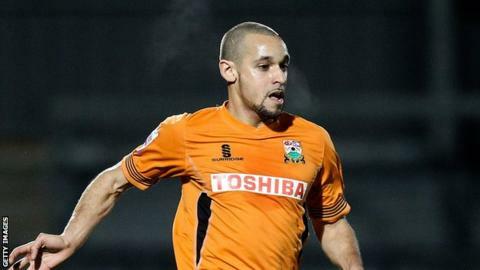 Barnet preserved their seven-point lead at the top as they comfortably beat 10-man Chester. Goals from John Akinde, Charlie MacDonald and Curtis Weston gave Martin Allen's side a third straight victory. Akinde pounced on poor defending to give his side the lead before the break before Gareth Roberts was dismissed for a wild challenge on Luisma Villa. Barnet took advantage with MacDonald finishing well before Weston converted David Stephens' pass. Match ends, Barnet 3, Chester FC 0. Second Half ends, Barnet 3, Chester FC 0. Attempt missed. Mauro Vilhete (Barnet) left footed shot from outside the box misses to the left. Assisted by Mauro Vilhete. Attempt missed. Luisma (Barnet) right footed shot from long range on the left misses to the right. Goal! Barnet 3, Chester FC 0. Curtis Weston (Barnet) right footed shot from outside the box to the bottom left corner. Assisted by David Stephens. Offside, Barnet. David Stephens tries a through ball, but David Stephens is caught offside. Foul by Bernard Mensah (Barnet). Matty Brown (Chester FC) wins a free kick. Substitution, Barnet. David Stephens replaces John Akinde. Attempt missed. Sam Togwell (Barnet) right footed shot from outside the box is too high. Attempt missed. Bernard Mensah (Barnet) left footed shot from outside the box is too high. Attempt saved. Bernard Mensah (Barnet) left footed shot from outside the box is saved. Attempt saved. Ben Heneghan (Chester FC) right footed shot from outside the box is saved. Substitution, Barnet. Bernard Mensah replaces Charlie MacDonald. Kieran Charnock (Chester FC) is shown the yellow card for a bad foul. Attempt saved. Mauro Vilhete (Barnet) left footed shot from outside the box is saved. Substitution, Barnet. Mauro Vilhete replaces Lee Cook. Lee Cook (Barnet) wins a free kick.